One of a kind jewelry is not just for fashion mavens anymore. If you have a limited amount of clothing in your closet, because you have a difficult body shape to buy for, or you just hate shopping malls expand your wardrobe with original jewelry. Create your own dynamic fashion style with handmade jewelry and save yourself money and stress at the mall. 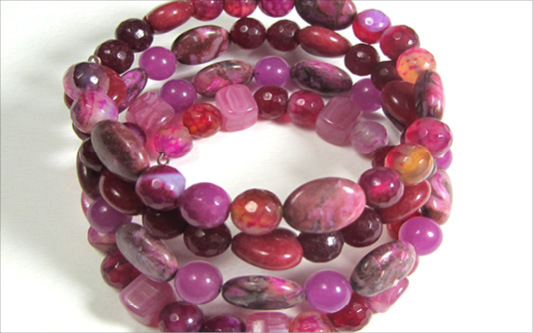 Give your office attire a fashion makeover too with original handmade jewelry. Combine a colorful engaging statement necklace with your business suit and give yourself an edge, or how about a chunky bracelet with clusters of fire polished czech beads for a touch of sophistication. 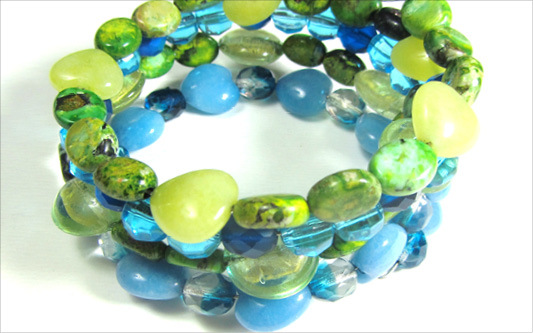 The bold colors and cool textures in one of a kind handmade jewelry make it easy to update your clothing and be professional. 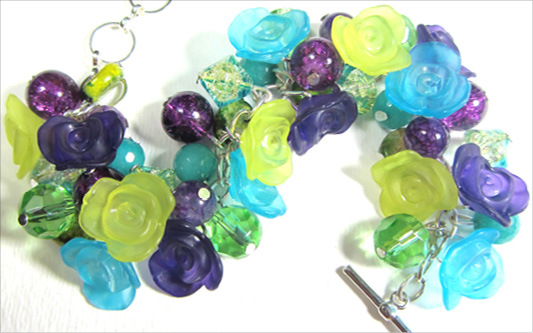 Diva Necklace shown above has layers of eye catching flower buttons. Cool colorful buttons hang pendant style on long silver chain and bring a bold edge to your style. So impress everyone with your new original look. Big Bling Bracelet shown above has patterned buttons with shimmery textures and beads that vary in shape and size. The big silver chain links make this bracelet shine brighter in motion. 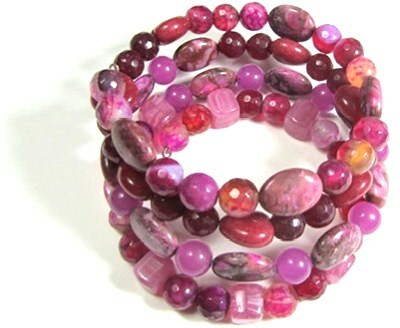 All fashionistas love colorful chunky bracelets. Glam Flower Earrings on the left have fire polished czech beads and glamorous gold flower buttons. These fun earrings make your fashion style shine. 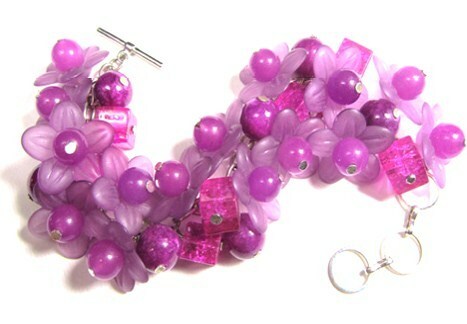 Great special occasion drop dangles are a must-have for a gorgeous in demand fashion diva.